Kirby is adorable. Fact. His friends are almost as adorable, too, making us fall in love with this short video faster than you can say "Dream Friends". Yes, shared online today by Nintendo UK, the video below is a time-lapse showing the creation of a particularly cutesy art piece. The artists in question are none other than Kirby Star Allies development team members, gathering together to celebrate last month's release of the Wave 3 Update - the final content being added to the game. The piece features Magolor, Taranza and Susie, the Three-Mage Sisters, and the wonderful, pink blob of joy himself, all circling the page in a scene which would make even the villainous King Dedede crack a smile or two. The talent on display is sublime, too, with each character slowly but surely coming to life as time goes on. We're painfully jealous of anyone who can draw something more significant than a stickman. Are you still enjoying Kirby Star Allies? Do you perhaps feel inspired to create your very own sketch of your favourite characters? Tell us below. As a Kirby fan, stuff like this is always a treat. Puyo! They make it look easy but drawing Kirby and friends will always be harder than playing the games. @Spectra Yeah but he does it for friendship! ...that makes it okay, doesn't it? @Spectra that’s when he becomes adorably precious? Its at times like this i wish i could draw well lol. "Are you still enjoying Kirby Star Allies?" I haven't played it much since Smash came out, but I did have a blast with it (especially since it's my personal 2018 GOTY) and the updates were nice treats for the game. I just find it a shame that it got so much flack for being "too easy" when the series was designed around that difficulty to begin with. I mean, sure, the allies mechanic was the factor for this, but I enjoyed having a functional team with me at all times and even then, you don't actually do "nothing" throughout the game and watch your allies pick up after you. 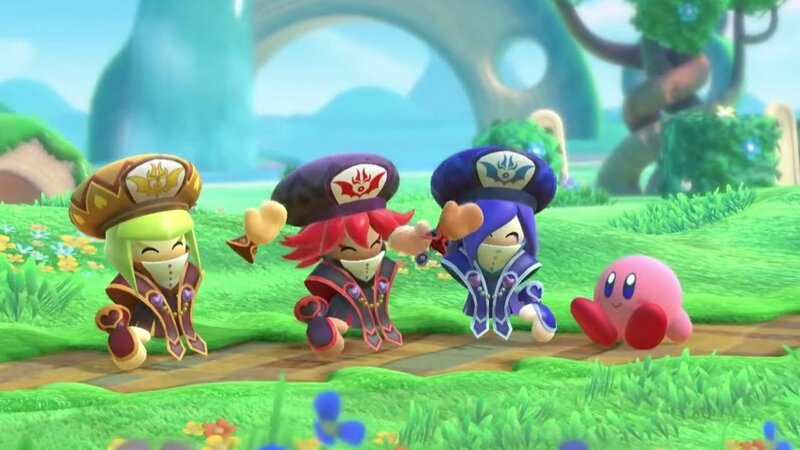 @Spectra Can’t forget that in Star Allies, Kirby also brainwashes his enemies and forces them to become his friends! this makes me want a Kirby Paint game for some reason. @Mew Of course they're right, which is why the "brain dead" difficulty has been the norm for Kirby platformers since the beginning. Even the creator, Sakurai, himself designed it that way. @StephenYap3 Star allies is a LOT easier than the other games, try going back and playing some. There's a difference between easy and boring. @Mew Difficulty matters the least for me when it comes to games. If a game is fun enough to warrant a good-quality product in my eyes, then I'm fine with it. Besides that, though I'll admit that Star Allies was "brain dead", there are a few other games in the series that I found easier than that. Kirby 64, for instance, had a very unbalanced Mix Ability system (which was remedied by Star Allies in many ways) that made Bomb + Cutter ability the "win button" for me, causing me to destroy everything and getting the (false) ending on a lazy afternoon. Then there's Epic Yarn (at least, on the Wii) that turns all the damage Kirby takes into bead losses, literally making boss fights impossible to lose in. The side stuff does help rectify this, though. Meh. You can tell this was drawn by younger new so called talent. Nowhere near as good as the old that reigned supreme through out the 80s, early 90s and obviously pre- 80s. @StephenYap3 Spot on. 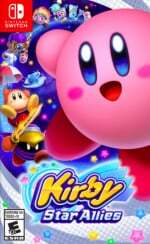 Difficulty in the main campaign of Kirby games is the last thing I care about. I appreciate they added stuff like the Heroes in Another Dimension for some challenge. And likewise, Smash has definitely been hogging my switch since december.